This week, I’d like to revisit the story of John 5. Even if you are familiar with this story, I want to encourage you to give it a fresh look and see if you don’t see what I’m seeing here. At first, the story appears to recount another run-of-the-mill healing by Jesus on yet another Sabbath day. But there is something else going on that a surface reading won’t catch. It should be remembered that in Jesus’ day, those who were crippled, blind, or lame were not looked upon with compassion or viewed simply as less fortunate than others. This was a culture built on the assumptions of Deuteronomy 28, which states clearly that if you obey, God will bless you, and if you disobey, God will curse you. So if you are crippled, if you are blind, if you are a paralytic, you must be a sinner! What else could explain your current condition? It should also be remembered that in Jesus’ culture, “sinner” was a very different term than it is today. Today, Christians are taught that we’re all sinners. “All have sinned,” Paul says. But before Paul and the early Christian movement developed the view that everyone is a sinner, this was not the case. The Jews belonged to a community to which certain promises had been made. And although you did not follow Moses’ teachings in order to earn a place in that community, you did follow those teachings, as well as the rules of the community, in order to put on display your decision to be a part of that community. The term “sinner” was a label used for Jews who, despite belonging by birth to the covenant community, lived contrary to the Torah and rejected their place in that community. In short, the term “sinner” was not applied universally. If you were a paralytic, in addition to suffering from your condition, you bore the stigma of being a sinner, for why else would God be punishing you? 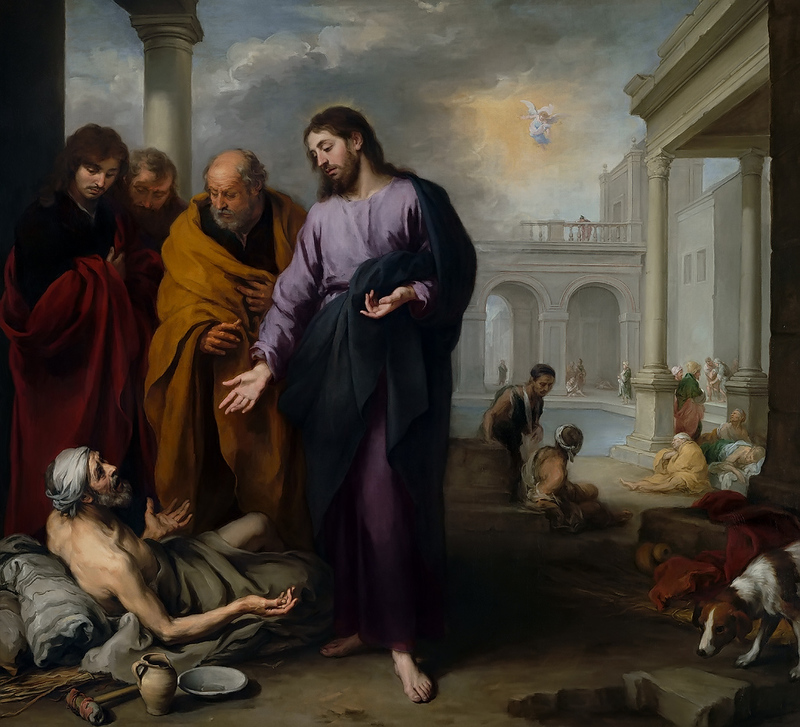 Being a paralytic (or anyone with a disability) in the time of Jesus carried with it the stigma of moral inferiority, the stigma of being a “sinner” and all that included for a Jew. This is why the first thing Jesus says to the paralytic in Matthew 9 is that his sins are forgiven. Jesus sought first to relieve the guilt/stigma that accompanied being defined as a “sinner” in contrast to everyone else. In John 5, Jesus heals the man. He sets him free! This freedom involves more than just the ability to walk. It is simultaneously a liberation from the “sinner” label. And what happens next? The man bumps into some fellow Jews who question him regarding why he is carrying his “burden” on the Sabbath day. Do you see what’s happening? He had just become free of the “sinner” label, and his new status is immediately threatened! He is at risk of being classified once again as a “sinner,” and he panics. He throws Jesus under the bus, saying, “The man who healed me . . . it’s His fault!” But the man cannot give his accusers a name, so the matter is dropped. This next part is where things get interesting. What the Greek actually says here is, “Behold you have been made healthy! Be guilty of wrongdoing no more or you will become something worse than a paralytic! John uses hamartia differently than some of the other New Testament authors. He uses the term to refer not simply to the behavior associated with sin, but also to the guilt that comes from defining yourself as a sinner. This man in John 5 had been a paralytic for 38 years. According to the Intervarsity Press New Testament Background Commentary, “The man had been sick there longer than many people in antiquity lived.” This means that although the man was not a paralytic from birth, he might as well have been. He had become a paralytic sometime during infancy—so there is no way this man’s own sin caused him to be a paralytic. Jesus isn’t saying, “Listen, last time you sinned, this is what happened. Now go and sin no more, or next time, something worse might happen to you.” It wasn’t the man’s personal behavior that brought about his disability. He was an infant, for crying out loud. What Jesus is doing for this paralytic is exactly what He did for the paralytic in Matthew 9. He is seeking to set him free from the moral stigma to which paralytics were subjected. Jesus is setting him free, asserting that he no longer has to define himself as a “sinner”! You don’t have to define yourself according to the way others have looked at you, Jesus is saying. But if you don’t stop defining yourself this way, if you don’t stop allowing others to determine how you see yourself, your fate will be worse than that of simply being a paralytic. What is that fate? What is that something worse? It’s in the very next verse. Why would this man betray Jesus—the man who had just healed him—to the very people who had accused him of breaking the Sabbath? The answer has to do with the nature of scapegoating. When a person is scapegoated the way this man was—both for being a paralytic and, afterward, for presumably breaking the Sabbath—that person becomes desperate. There are two ways enemies become friends. The first is to identify a mutual/common enemy (see Luke 23.12). The second is to cultivate forgiveness and reconciliation. The first is very similar to how scapegoats seek to escape being attacked by the crowd. When someone is being picked on, they will instinctively endeavor to deflect the negative attention onto someone weaker than themselves. The result is that now, rather than being picked on, they have gained their oppressors’ acceptance by joining them in picking on someone else. This is the “something worse” about which Jesus was warning the paralytic. He could be free from the “sinner” stigma in two ways. He could embrace the new identity Jesus was giving him and no longer define himself the way his religious community had. Jesus would become that which defined this man and gave him a sense of worth. Alternatively, he could convince his community to scapegoat someone else—and join his community in the practice of scapegoating. And who would this man choose to scapegoat? Who would he choose to throw under the bus? Who would he encourage his own oppressors to view as the real “sinner”? He does exactly the opposite of the blind man in John 9, whom Jesus healed and whose story John is contrasting with this man’s. The man in John 5 chose the worse path. In an effort to be accepted by the crowd, he chose to betray, or scapegoat, the very Jesus who had just healed him. Just so you can get the truest sense of what Jesus is doing here, take a look at the way ergazomai is used in other New Testament passages. And not only does Jesus embrace the role of scapegoat here, He actually drags God into it with Him. In John 5, God in Christ becomes the scapegoat to end all scapegoats. He, the innocent, embraces the label of “sinner,” of “Sabbath breaker.” Why? The answer is found in the story of the unjust death and resurrection of God in Jesus. The resurrection proves that God is not to be found within the scapegoaters (whether political, economic, or religious). God is to found in the one hanging shamefully on the tree at the hands of those who put him there. This way of finding unity among ourselves by finding a common enemy and then justifying it by labeling them “sinners,” this way of organizing human societies around a common “evil,” this way of “making peace” among ourselves is capable of killing even God Himself. We do it today. We do it economically with immigrants and foreigners. We do it politically with the Taliban. We do it religiously with the LGBTQ community. When are we going to stop? What we are doing led in the past to the unjust execution of God. We don’t see what we are doing. It is time for us to wake up. When will we learn to abandon our preoccupation with “us” and “them”? We are all children of the same Divine Parents. Jesus died for all of us. We are all God’s favorites. When will we learn that we don’t need to throw others under the bus to secure our place in this world? What does it mean to you that Jesus embraced the label of “Sabbath breaker” within a community that defined itself according to those who kept the Sabbath and those who didn’t? In John’s contrasting story in John 9, the Pharisees say, “This man is not from God, for he does not observe the Sabbath” (9.16). When I was at the impressionable age of fourteen, I joined “God” in being “against” Sabbath breakers too. I was this paralytic, looking for the acceptance of God. And instead of receiving “acceptance” as a free gift, I found it in identifying a “common enemy.” God forgive me, not just for my gross ignorance of what God is like, but for my “baptizing” the way of the “accuser” rather than following the radically inclusive way of Jesus. 1. Sit with Jesus this week on the subject of scapegoating and defining others by their level of Torah observance. Jesus inaugurated a new community, centered on Himself. If there is any evaluation to be made, it is of one’s heart orientation toward Jesus. But what saves us from now scapegoating others because we feel they lack a heart orientation toward Jesus? The answer is twofold: (1) only God really knows the heart, and (2) even if another person’s heart is not oriented toward Jesus, Jesus Himself commands us to love as indiscriminately as the sun shines and the rain falls (Matthew 5.45). And in so doing we will be like God. Yes, there are those whose hearts are turned toward Jesus, and there are those whose hearts are not. But we are called to love the latter just the same. No distinction. No scapegoating allowed. There is no us and them. The sunshine proves it. The falling rain testifies to the truth of it. We are all children of the same Divine Parents. And it’s time to learn the way of love once again. Defining others by “the fruit of the tree of the knowledge of good and evil” produces violence, bloodshed, death. It’s time to find our way back to the tree of life, which, remember, is for the healing of nations (Genesis 3.6 cf. Revelation 22.2). 2. 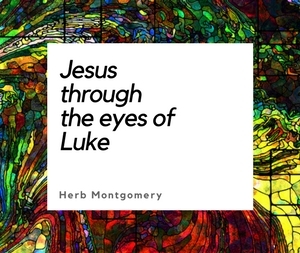 Journal about what Jesus shows you as you sit with Him on these themes during your time in contemplation. 3. This upcoming week, share with your HeartGroup what you discover. Till the only world that remains is a world where love reigns. I love you guys. See you next week.